Difficulty getting to sleep or staying asleep? Lying awake mulling over your problems? Insomnia can be exhausting and incapacitating. It can also be a symptom of other issues and lead to health problems, such as hypertension, in the long term. Sleep helps the brain to learn and remember, processing the day’s events. Difficult, stressful and annoying aspects of our lives are integrated so we can acclimatise to them. Without the right amount of sleep, we face change while still holding on to the remains of unprocessed events. Then there’s the question of physical renewal… it’s all too much! 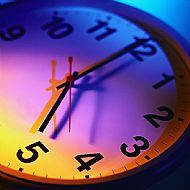 Insomnia can cause lack of interest in our work and personal lives and result in fatigue and demotivation. Our friends and family can become burdened with our problems. Work suffers, anger or helplessness may follow. Are you at the end of your tether? So here’s some good news, if you live near Harrogate, or can get here, help is at hand. Discuss your problem on the phone for free and then come for an initial consultation to get you moving in the right direction. Sessions with your hypnotherapist, promoting deep relaxation, will be combined with a sleep CD to take home. Each time you use the CD, the association between it and the relaxation you felt at the ‘live’ session will grow and strengthen. Meanwhile, you will be better able to solve problems at the root of insomnia and make changes. The unconscious mind and the body have the ability to sleep, they just need you to let go so they can work. Hypnotherapy releases the grip of the conscious mind and gives access to the unconscious. Whether you have a long-term sleep problem or just need a good night’s sleep before your exam, best man’s speech or big presentation, I can help. Get in touch now for a chat or to book your consultation.